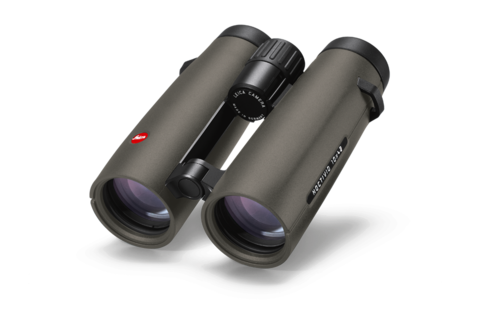 With the Leica Noctivid Leica Sport Optics has set a new standard in observation optics. More than a century of experience forms the basis for this new generation of Leica binoculars, offering unprecedented quality. Next to the black version, the Leica Noctivid models are now also available with olive green armouring. 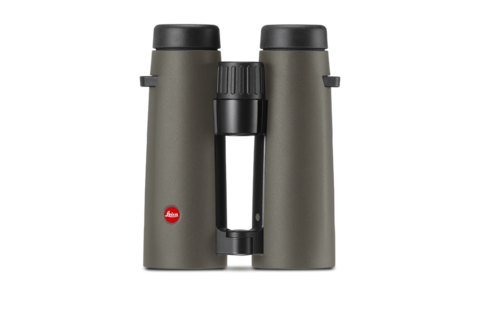 The Leica Noctivid features compact dimensions as well as stylish and elegant design, and at the same it is incredibly robust and resilient. Versatile in use in every situation of life, the Leica Noctivid sets new standards in exterior design as well as in optics and mechanics. The new binoculars family of the Leica Noctivid unites the best of state-of-the-art and most innovative technologies at the highest level. With the Leica Noctivid the engineers have achieved a quality in observation that meets the highest demands. Thanks to Schott HT™-(high transmission) glass, the Noctivid features astoundingly natural colours. In addition, premium coatings have been applied on the lenses in the new high-temperature plasma processes, guaranteeing a perfectly balanced light transmission across the entire wavelength range and thus astoundingly bright colour rendition to the point of colour neutrality. Innovative baffle systems for stray-light suppression ensure the best possible reflex reduction as well as maximum contrast. Thanks to the modification of the radii at the lens surfaces, the sharpness towards the periphery of the field of view has been improved significantly. The AquaDura® coating developed by Leica ensures a crystal clear view in any weather and protects the lenses from scratches and abrasion. Thanks to the coating, dirt and finger prints can be wiped off easily. The sophisticated combination of all optical and mechanical innovations offers a viewing experience of unequalled image plasticity. In the construction process, the engineers placed special importance on compact form and perfect mechanics. The binoculars’ tubes can be easily held with one hand. Thanks to the compact dimensions, the weight of the binoculars is balanced in the middle of the palm. The non-slip rubber armouring gives the binoculars a comfortable feel and a safe grip and is at the same time resilient to impact. The highly durable class H8 varnish patented by Leica provides additional protection for the metal surfaces of the robust magnesium housing. The focusing mechanism of the Leica Noctivid is more precise than that of any other binoculars: The newly developed focusing wheel allows focusing of the smallest details or extremely fast focusing at the longest distances. The Leica Noctivid in green is available in Leica Stores and Boutiques as well as at authorized dealers as of March 2018. For more info about the new Leica Noctivid as edition in olive green please click here.